Wow! I love this quote from Rabbi Gabriel Cousens M.D., it very clearly and succinctly conveys the truth of the matter. In the raw plant-based world, you are literally engaging with the blessings of conscious eating and spiritual food on a plate! We are raising our spiritual vibration and consciousness. It's not new thing to link food, faith and spirituality, it's a centuries old wisdom, with the most familiar these days being linked to fasting. 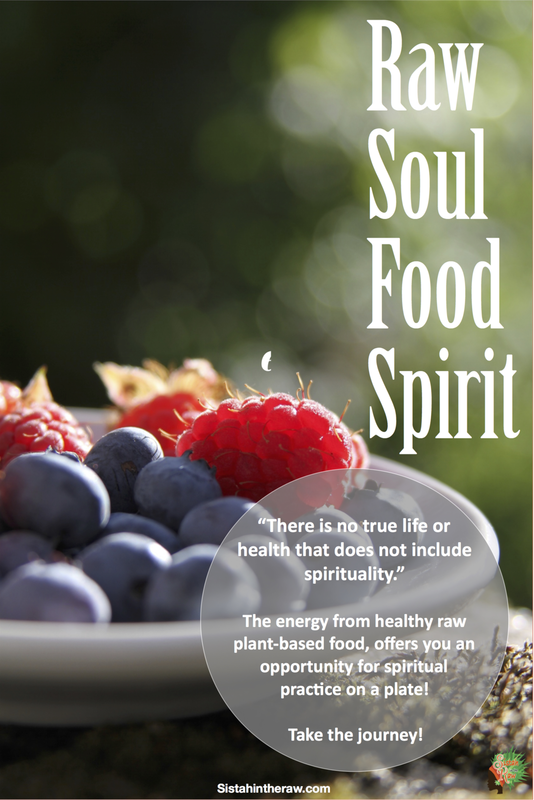 However, thinking about consuming raw, plant-based food as a spiritual plate is not such a far reach either. Each day we can chose to enrich the quality of our lives with the elemental energy of the earth from the plants we eat, the energy of water from natural drinks and the electrical and warming energies of air and fire within our bodies, utilised to consume and process these life sustaining gifts of natural food. Another way to think about it, is as sacred support for our journey through life, allowing us to generate s massive amount of self-awareness and energetic connection to everything around us (to each other and to nature). The ancients knew this and many spiritual seekers often eat in such a way as to allow for a feeling of 'lightness' within their body, so that their body is not over-burdened or weighed down by the process of digesting food and eliminating it. You learn how important this can be when you practice sitting for 11 hours a day, for 10 days of silent vipassana mediation. Light food essential, as it is easy to digest and doesn't make you feel heavy and too full. 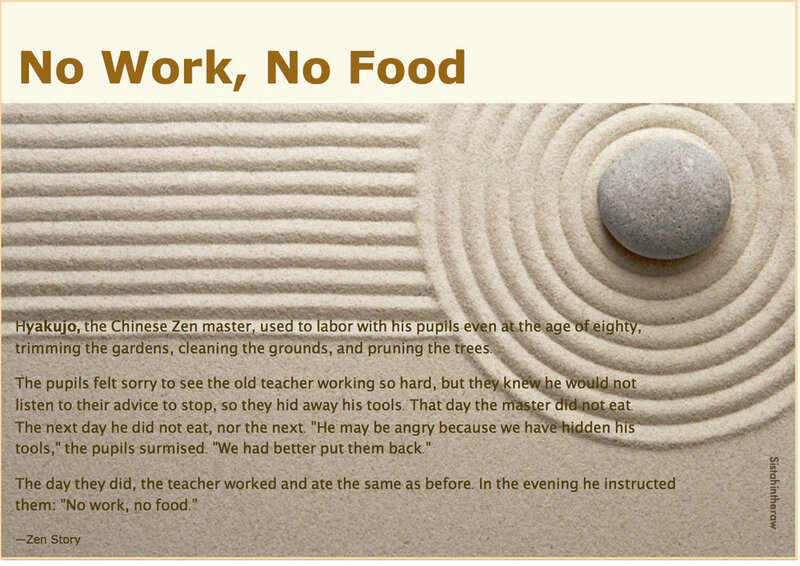 I remember my vipassana mediation retreat experience in India many years ago, the very light food was so easy to digest, it helped me a great deal, because the food passed through my system quickly, which helped me to be present in the experience of a powerful sitting meditation practice. Sometimes though, if you've been holding onto unresolved energies (feelings and emotions) in your life, this can definitely interrupt the flow of how food and digestion (constipation) can progress through your system, which your body will alert you to quite acutely. These energies can literally become 'blocked or blocked' and your digestion along with it. There is a very clear link between the intention for an holistic raw food lifestyle and your capacity as spiritual human being. True freedom of spirit can only be achieved through a slow but sure evolving process, which allows our burdens and obstacles to start fading into the past, this is also true of the process for awakening to our true relationship with food and in turn, our health and healing. We all know what it feels like when our senses feel clogged, our emotions blocked and our body feels too heavy, we can feel out of control; however when we feel connected to our lives in a dynamic and positive way, we feel light and joyful. Spiritual practice connects us to the very heart of our being and eating the right type of food can add into that connectivity. Natural raw plant-based vegetables and fruit, that have not been overly processed is light and soluble and full of natural life force energy from the elements of the sun, water, air and earth.. When we consume these foods in their natural state, we are also receiving the electric energy they contain. 1. "With wise reflection, I eat this food." 2. "Thus I let go of unpleasant feelings [of hunger], without stirring up new ones (of craving, overeating, etc)." 3. "I give thanks to the many beings who helped this (breakfast, lunch, MEAL) become possible before me today. I vow to use this energy for only good. The Sun is in my Food." When we can trust the elemental and nutritional value of our food, we change our relationship with that food and it becomes part of the love we can reply upon for our holistic healthful self-care. We begin to realise that by making a conscious choice to ingest food that allows us to love our body and receive the healing energies of nature, this daily ritual is mindfulness manifested and literally allows us to feed ourselves with love! Conscious eating connects us with the centuries old, ancient wisdom that has at it's heart the understanding of the healing power of plants; it is a spiritual path which can open us up to deep cleansing and healing on all levels. Conscious eating also requires our mindful attention as to how we select, prepare and consume food, as well as how we dispose of our food debris. Having said all that and focusing on the positivity of the conscious eating path, it is important to remember that we must still do the work to educate ourselves about how we need to proceed on the path through life. We must learn as much as we can about how to make healthful choices, about spiritual practice and sacred support. Read the 'labels', as there are so many things (products) these days which are called 'spiritual', yet so many are a re-hash of ancient mindsets that have been re-packaged to suit our 21st century minds; often having lost much of their original essence and wrapped up in current day marketing speak for eye-catching prettiness. Be watchful, stretch yourself and go to the source as much as possible, this will enable you to make more 'informed' choices; and don't take my word for it, try it for yourself. Book: Spirituality in Healing and Life by Brian R. Clement. SKU: 9780962237355. Click to find out about sacred support. Living Food = Vibrant You - Create healthier habits, try out one of our online wellness programmes, register here.